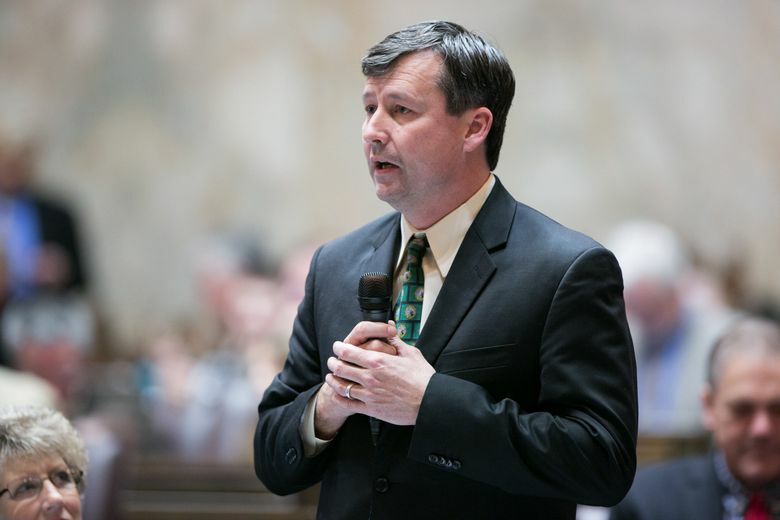 Rep. Matt Manweller, R-Ellensburg, has resigned from his leadership position in the state House. House Republican Leader Dan Kristiansen said in a statement that he called for Rep. Matt Manweller to step down from his position as assistant floor leader and that Manweller agreed. Manweller has denied any wrongdoing. Earlier this week, CWU placed Manweller on leave, saying it is now pursuing a new investigation of allegations of inappropriate conduct. Manweller’s first wife, who was just out of high school when the couple married, has also said recently that Manweller kissed her when she was 17 and that she believes Manweller was grooming her when she was a high-school sophomore and he was a teacher at the school. “Right now I plan to focus solely on my district and step away from my leadership roles,” Manweller said. House Majority Leader Pat Sullivan, D-Covington, has called on Manweller to resign from the Legislature, but Manweller has said that will not happen. The first investigation at CWU occurred in 2012 as Manweller was running for office. The inquiry looked primarily at allegations from a student several years prior. Manweller, who began working at CWU in 2003, was not disciplined after that first investigation, but it concluded there was evidence to suggest he had violated the school’s sexual harassment policies.